Hard surfaces such as garage floors, patios, driveways or basements can become stained and cracked over time. Quality & Durable Industrial Floors, Inc can improve the look of any hard surface in your home with industrial flooring products for long-lasting protection that looks great. If you garage floor is stained or deteriorated, Q & D Industrial Floors, Inc. can help you improve its look with a protective finish. 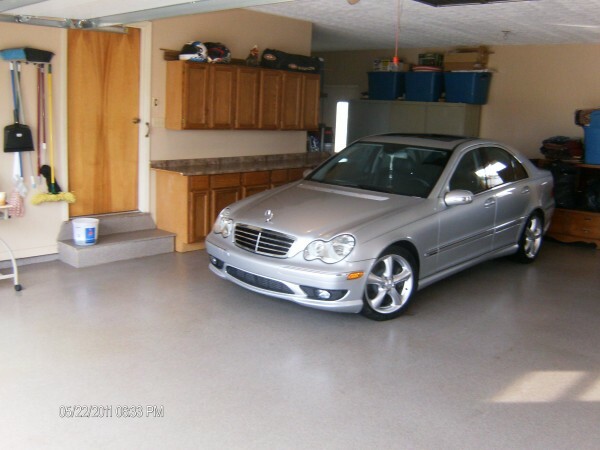 With protective floor coating or a decorative floor system, Q & D Industrial Floors, Inc. helps to transform your garage into a versatile space that can be used for parking the car or hosting a party. Apply an industrial floor coating or decorative floor system to eliminate musty smells or replacement carpet costs. Find decorative cement flooring that looks great in your basement and lasts longer than any other flooring solution. Do you want a maintenance-free flooring system for your patio or sunroom? If so, replace your patio floor with a decorative industrial floor coating that requires no maintenance and will outlast any carpet or tile you install. Is your porch is damaged or faded? QDI Floors, Inc. can grind off old paint or glue from outdoor carpeting to apply a stain or a water-repellant sealer to give it a new look and smoother finish. QDI Floors offers a low-cost alternative to replacing your concrete driveway. We grind down the driveway to a smooth finish then apply a water-repellant sealer. This helps remove and prevent stains, pop outs or cracks that occur over time.